Out of stock, please contact us. The DriveLink Combo USB3.0 is a USB3.0-enabled adapter, allowing both SATA and IDE devices to be conveniently and easily connected through a fast USB3.0 interface to a computer or laptop. 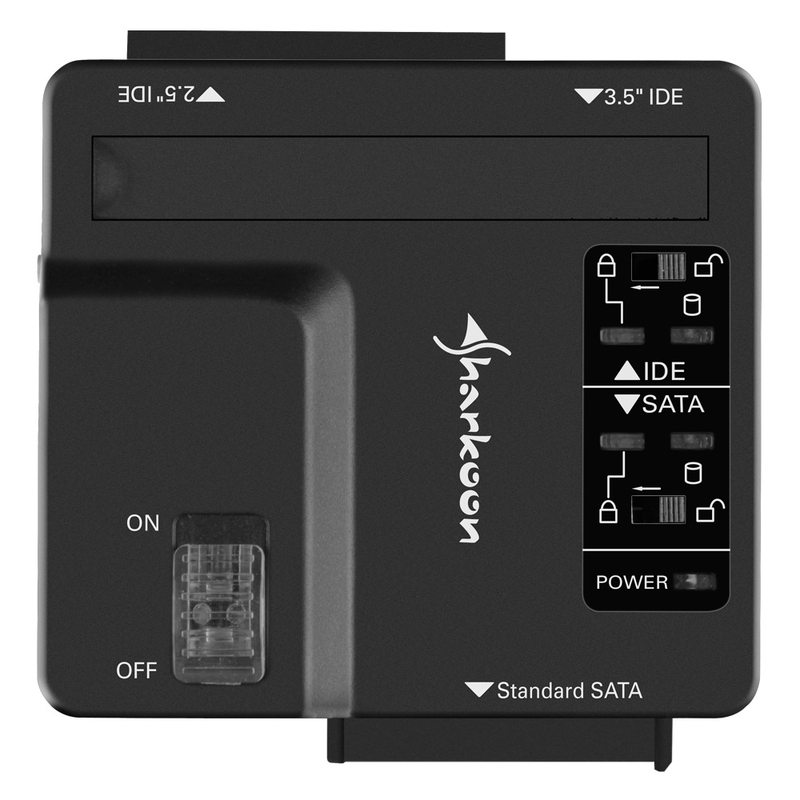 The adapter is ideal for hard drives, SSDs, and optical drives in sizes 2.5", 3.5" and 5.25", which have an external SATA or IDE interface. 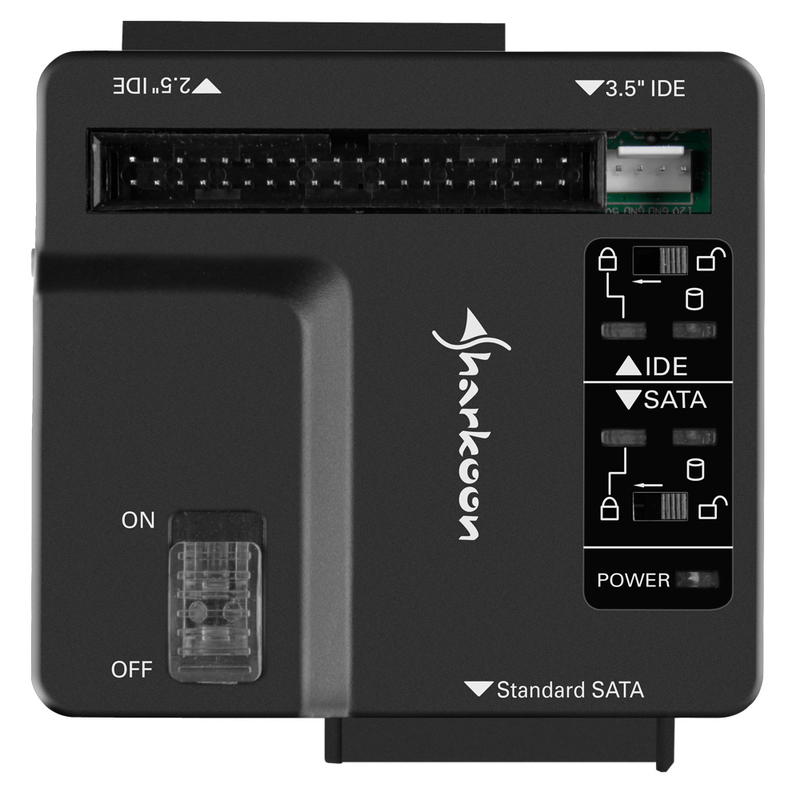 Since the cable adapter is connected directly with the corresponding SATA hard drives or drive, annoying wiring is not a factor. A power adapter is included with the DriveLink Combo USB3.0, providing a stable power supply to the connected devices. 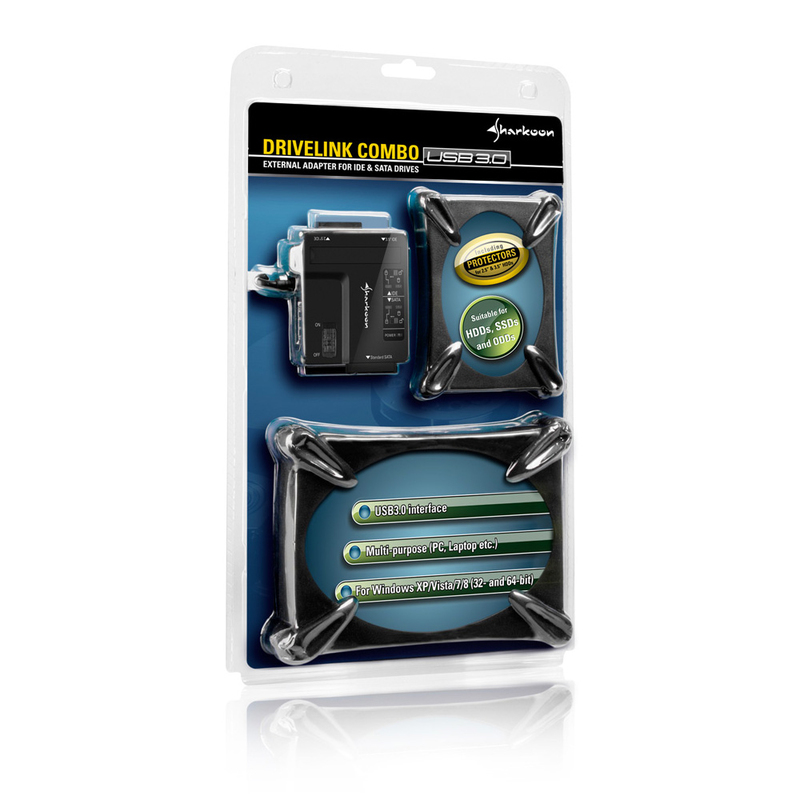 To ensure that there is no accidental overwriting of important data, the DriveLink Combo USB3.0 offers a write-protection function for the SATA and also IDE interfaces, which can be activated or disabled via selector switch on the top of the device. An on/off switch and LED indicators are also located on the top on the cable adapter. In addition to the already mentioned power adapter, accessories also include a 100 cm long USB3.0 cable, cable to connect IDE devices and a short instruction manual for quick startup. 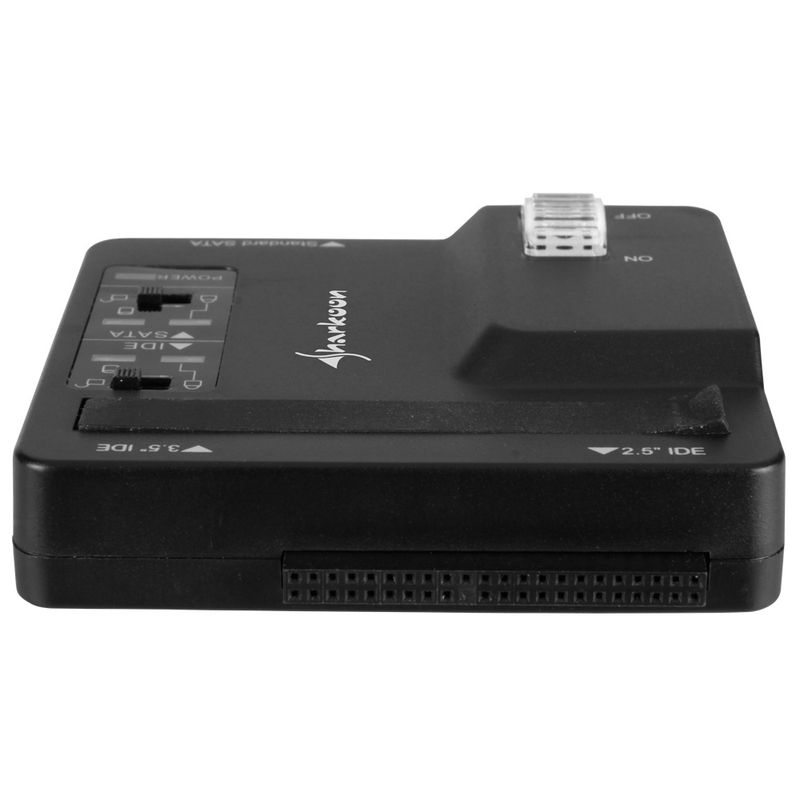 - Enables the external usage of 2.5", 3.5" and 5.25" SATA and IDE drives via USB3.0. - Suitable for HDDs, SSDs and ODDs. - USB3.0 interface (compatible with USB2.0 and USB1.x). - Data transfer rate: max. 5 Gbit/s. - Multi-purpose (PC, Laptop etc.). - No additional drivers needed for Windows XP/Vista/7/8 (32- and 64-bit).